One of my favourite sights in St Ives Harbour is The Dolly Pentreath. A traditional Cornish fishing lugger which you can board in St Ives for trips along the coast to Seal Island and other locations. This is also a chance to showcase another great video by Alban Roinard - so enjoy! 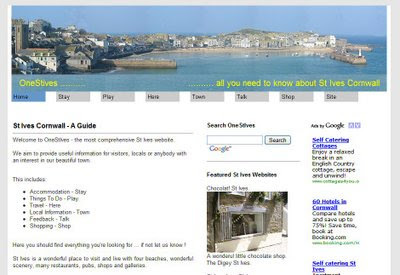 Which is St Ives best website ? I will modestly exclude my own OneStIves site and this blog from proceedings. Let me know what you think and add comments below. I very much enjoyed Sarah Lincoln's talk - Confessions Of A Theatre Director - at St Ives Library earlier this week. She talked about her forthcoming productions, how she got into directing and her approach. It sounds as if St Ives Community Play - Romeo and Juliet, to be performed on The Island in August and September, is going to be an amazing production. For a start there will be a fifty strong choir (possibly larger) to provide accompaniment, with music specially written for the play. The play will open with what Sarah described as "a huge fight scene", stage combat direction is one of her favourite things. 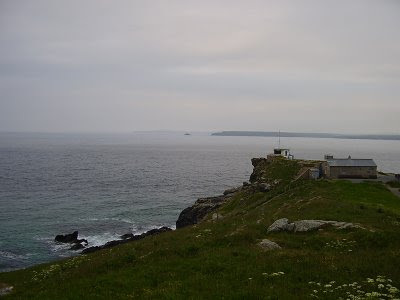 Tate St Ives will be involved as well, providing an installation as part of the set. What form this will take I don't know but it should be interesting! The music competition has attracted a good number of entries. The finalists will be chosen in the next week or so. They will then perform at The Crow Rooms on Thursday 16th July where the winning songs will be chosen by Sarah. The plan is that these will be performed live during the party scene of the play. A few roles are still to be cast and volunteers are wanted for crowd scenes, front of house, and backstage. If you'd like to be involved get in touch. Anybody who would like to help is very welcome to turn up on rehearsal nights - Mondays, 7.30 at The Island Centre. People who can sew costumes are particularly needed. Tickets are not yet on sale but I'll put details here as soon as they are. I'm planning to get some video footage of rehearsals and interviews with cast and crew for a more detailed preview later. My sources tell me that a veil of secrecy has been drawn over the St Ives September Festival Arts Programme - due to be published in a week or two. 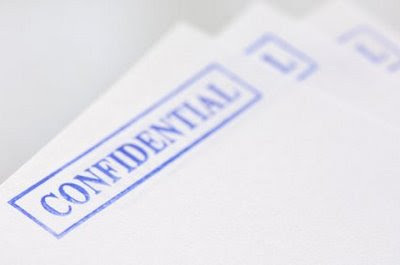 It is alleged that committee members and others have been warned that all information is "confidential" until officially released. Has booking Michael Jackson for a talk at The Arts Club forced a hurried last minute rescheduling ? Are secret late negotiations taking place with Damien Hirst - to have Bob Devereux sliced in half, pickled and displayed in a glass cabinet as a warning to others ? We humble peasants wait upon your pleasure. 'Tis all for The Greater Good. 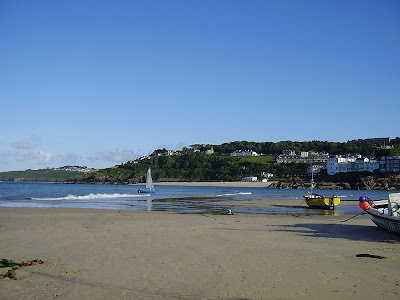 Here's a small day by day selection of what's going on in St Ives this week. 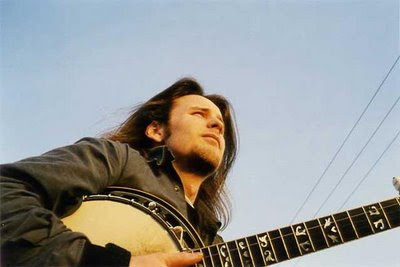 Saturday (27th) - Live Music - Bluegrass - Anna Kelly and John Dowling. Western Hotel, 21.00, free entry. Sunday (28th) - St Ives Society Of Artists Summer Show, continues at The Mariners Gallery. Open 10.30 - 17.30, free entry. I took a look earlier in the week and it contains a great variety of work by local artists. Monday (29th) - Acoustic Session - Western Hotel. 20.30 - all welcome - free entry. 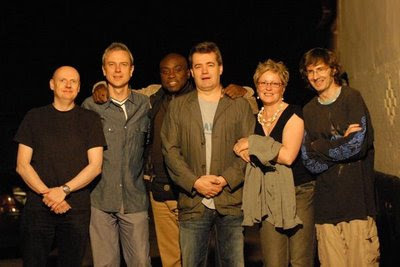 Tuesday (30th) - St Ives Jazz Club - Seb Pipe Life Experience. "Latin-jazz vivacity. East European folk forms and bursts of straightahead swing." Western Hotel - 21.00, doors 20.00. Wednesday (1st) - Crow Folk at The Crow Rooms. Entry £2.00 on the door. Thursday (2nd) - Cafe Frug. St Ives Arts Club - 20.00. Friday (3rd) - Beach Volleyball. As usual I have absolutely no idea what's on at The Lifeboat Inn, The Golden Lion or The Queens Hotel. They haven't emailed me anything, despite several requests, and frankly I can't be bothered to find out. They probably have stuff on, but you'll have to go along to find out for yourself. You won't find any info on their websites either - although - according to their website - The Queens are apparently showing Live Euro 2008 Semi-Final Germany v Tukey (sic). One of my favourite places in St Ives - a small peaceful green oasis right in the centre of town. Like a lot of people I come here to chill out and get away from the crowds for a bit. There are quite a few events on for movie lovers during the festival fortnight. Sunday 20th September at 19.00 - St Ives Arts Club. Anna Chen presents a talk about the Chinese-American movie star, based on her BBC Radio 4 broadcast A Celestial Star in Picaddilly. Lavishly illustrated with PowerPoint slides, enhanced with multimedia and the Anna May Wong Must Die! rap - this offers more entertainment than the average festival talk. More info on Anna's Blog. There will be a short season of black and white movies - also at St Ives Arts Club. A chance to see some real classics rarely shown on the big screen. Monday 14th September at 19.30. Starring Marlon Brando, Karl Malden, Lee J. Cobb and Rod Steiger. Saturday 19th September at 19.30. Starring Humphrey Bogart and Ingrid Bergman. Monday 21st Septembera at 19.30. Starring Marilyn Monroe, Tony Curtis and Jack Lemon. Friday 25th September at 20.00. Director F W Murnau (1927). Silent movie with musical accompaniment from Wurlitza. 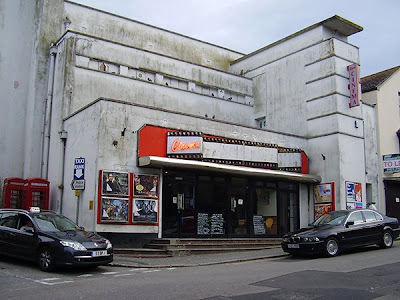 Penwith Film Society will be presenting their regular programme of art house and foreign language films at The Royal Cinema on Tuesday and Wednesday nights - details to follow when confirmed. The Royal will also have their usual programme of mainstream movie releases. 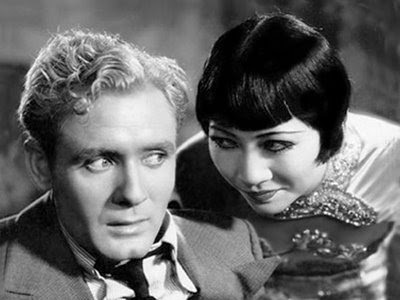 Tickets for Anna May Wong Must Die! are available from the festival box office at St Ives Guildhall:01736 798577 or call me on 01736 797122. Another varied week of entertainment ahead in St Ives. Tomorrow - Sunday is a pretty quiet day. For something different you could try the Roller Disco at St Ives Rugby Club - organised by StreetLifeSkates. DJ with old skool music through to the latest. Food and drinks available, outside seating area. Runs from 12.00 to 17.00 - entry is £5.00. On Monday the legendary Freddy Zapp returns to The Sheaf Of Wheat for the summer season with his Karaoke Night. Starts around 20.30 - free entry. On Tuesday St Ives Library hosts a talk by theatre director Sarah Lincoln. She'll be talking about the St Ives Community Play production of Romeo and Juliet, to be staged on The Island this summer. Starts at 19.30 - free entry. On Wednesday you could try the Life Drawing Class at St Ives School of Painting, in the historic setting of Porthmeor Studios. Beginners welcome, expert tuition available. No need to book - just turn up ten minutes before the start time of 19.30, cost is £7.00. 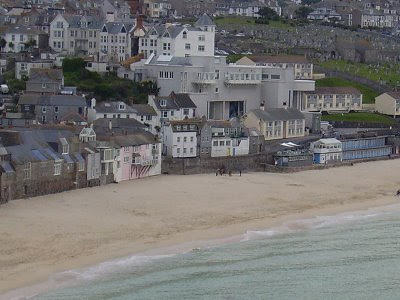 On Thursday there is a guided tour of St Ives - St Ives In The Frame - focussing on the town's art and artists. Meet at The Guildhall at 11.00, cost £5.00. Friday sees the opening night of Dad's Army at St Ives Theatre. Doors open at 19.30, show starts at 20.00 and tickets are £9.00 from the theatre box office. As ever there's lots of other stuff going on, so check out my St Ives Calendar. as usual on Tuesday evenings at The Western Hotel. On Tuesday 15th September - Partisans. On Tuesday 22nd September - Empirical. 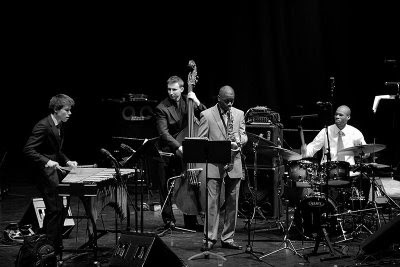 Empirical scooped the title of Jazz Ensemble Of The Year at the 2008 Parliamentary Jazz Awards.The line-up's front-line features two of the UK's brightest hopes for the future. Trumpeter Jay Phelps and alto saxophonist Nathaniel Facey are both acrobatic solo displayers, cutting and fiery, and certainly not afraid of extended bouts of self-expression. This is a great night out - cabaret style seating, drinks at regular pub prices, quality sound system and a friendly relaxed atmosphere. For both gigs doors open at 8.00 - get there early for the best seats. Music starts at 9.00, two sets running until around 11.30. Tickets are £6.00 for Jazz Club members, £10.00 for non-members. the club stage gigs every Tuesday night at The Western Hotel. Its run by an enthusiastic bunch of unpaid volunteers and on a not for profit basis. 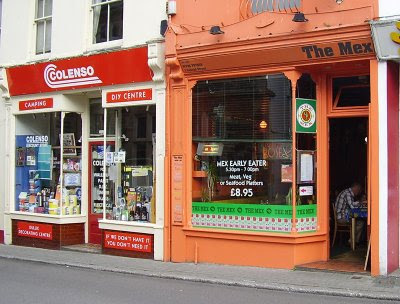 They've been "keeping it live" in St Ives for more than ten years. So they deserve your support - be there! 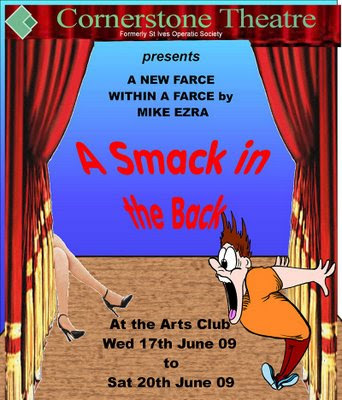 A Smack In The Back - A Farce Within A Farce by Mike Ezra. The Outhouse Theatre Company are staging the play “A Stab In The Dark” and it is nearing opening night. Julian, the director is near to a coronary as the cast test his patience to the limit. Forgotten lines, frustration, and general chaos reign as the show stumbles along. It appears that Julian has been giving some of the cast extra tuition and if his wife finds out there will be hell to pay. With a pregnancy, a suspected murder and intrigue galore does the Outhouse Theatre Company really represent what amateur theatre is all about? In those immortal words of Noel Coward? ..... Don’t put your daughter on the stage Mrs Worthington. Wednesday 17th to Saturday 20th June. Doors open at 7.30, performance starts at 8.00. Bring your own wine / drinks. I've enjoyed Mike's previous productions so I'll be there this week. Another varied week ahead in St Ives on the entertainment front. Tonight (Saturday) it's punk night at The Crow Rooms with The Surgeons and Distortion UK. Entry is £2.00 and doors open at 7.00. After the gig you can move upstairs to IsoBar Is Dead (IBID) for local DJ Audio Pressure. There appears to be very little going on on Sunday. Go to the church of your choice (no shortage in St Ives). 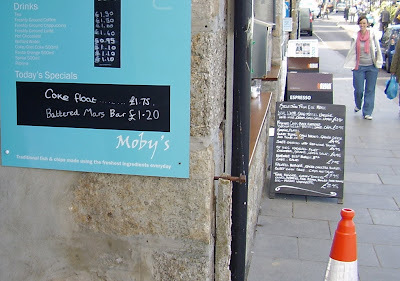 Grab a quick deep fried Mars Bar for lunch from Moby's. Get a table outside The Sloop and proceed to get slowly and pleasantly drunk (please enjoy your drink responsibly). Doner kebab from Lulus on Tregenna. Head home in time to catch Wife Swap then Big Brother on Channel 4. 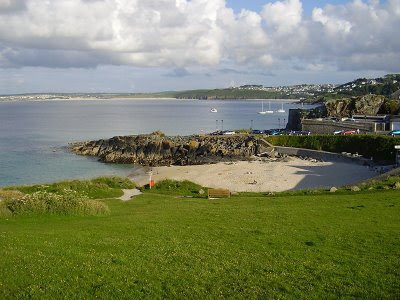 On Monday morning you can take a guided tour - St Ives Now and Then. Meet outside The Guildhall at 11.00, cost is £5.00 (bloggers who plug this go free). On Tuesday night there is a talk by author DM Thomas at St Ives Library. Starts at 7.30, entry is £4.00. As an alternative you could try my wife Jo's knitting group - also at the library - free. On Wednesday evening The Crow Rooms stages the regular Crow Folk session. Acoustic music and spoken word, £2.00 entry, doors open at 7.00. On Thursday you can shop at St Ives Farmers Market. Great local produce - open 9.30 to 2.00 at St Ives Backpackers. On Friday St Ives School of Painting have their weekly Personal Art Practice Workshop. No need to book - just turn up 10 minutes before the start. 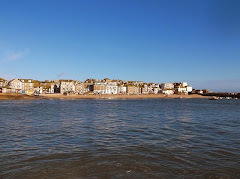 Finally a plug for this great DVD - Snotton TV An Alternative Guide To St Ives. A satirical look at our little town and its various residents. As ever I'll be happy to shamelessly plug your event or gig. Contact me with details plus incentives such as free tickets, cash, whatever. There are quite a few webcams around town - some are better than others. As this is one of the most popular sections of my OneStIves website I thought I'd place some links here to a selection of them. 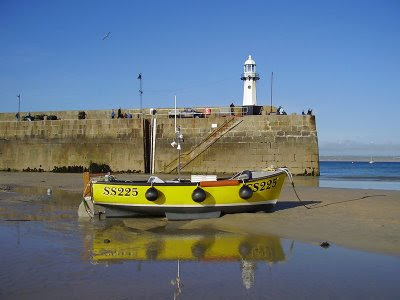 Hope you enjoy using these to keep up with how St Ives is looking. Let me know of any other good webcams that I might feature. As we're lucky enough to have a three screen cinema in town and I love going to the movies, I thought I'd preview the films on next week. The Royal Cinema programme runs from Friday - Thursday, so this applies for Friday 12th - Thursday 18th June. Star Trek (12A) (127 minutes). Nanny State Warning: Contains moderate violence and threat. Just got back from seeing this tonight - it was great! Terminator - Salvation (12A) (115 minutes). Nanny State Warning: Contains moderate violence and intense action. I prefer extreme violence so I'll probably give this a miss. Hannah Montana The Movie (U) (102 minutes). Nanny State Warning: None - but it is a Disney release so may make you feel slightly queasy. Likely to have a happy ending but with a moral lesson for you to take away and learn from. Night At The Museum 2 (PG) (105 minutes). Nanny State Warning: Contains mild comic violence and scary moments. Interesting fact - the first major film shot inside the Smithsonian Institution. Nanny State Warning: Contains strong horror and violence. Recommended tonight by the cinema manager. La Vie Moderne (PG) (87 minutes). Nanny State Warning: Contains mild language. Penwith Film Society presentation - in French, about farmers. Nanny State Warning: Contains mild threat and scary moments. Bargain show - so reduced price tickets, free popcorn and drink. Angels and Demons (12A) (138 minutes). Nanny State Warning: Contains moderate violence and horror. Loved The Da Vinci Code so my choice for next week. So take your choice - plenty of options for next week. 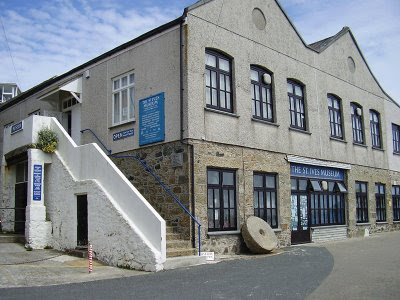 Art Classes - St Ives School of Painting. The school will be running classes every day during the festival. These are suitable for all levels of ability and beginners are especially welcome. As an added bonus these are held in the historic Porthmeor Studios - so you can enjoy the atmosphere of an authentic St Ives studio and follow in the footsteps of Ben Nicholson, Patrick Heron and others. Tuition is from experienced professional artists. Subjects include life drawing & painting, watercolour, collage and printmaking. There is no need to book - just turn up ten minutes before the scheduled start time. You can call them or visit their website for more information. In addition to the festival programme, they run classes and courses throughout the year. They are really friendly and helpful - they'd be delighted to hear from you. Call James or Sarah: 01736 797180. St Ives September Festival Calendar. It may please our Scottish visitors that deep fried Mars Bars are now available in town. You can get yours from Moby's on the harbour - just £1.20. And you can wash it down with a Coke Float - a veritable chav's banquet. Am I becoming a snob ..... or is this just lowering the tone a bit. This is St Ives after all - not f***ing Hayle! Middle Class Mummy will be equally horrified, lets hope she can head off little Toby and Jemima before they spot this ..... there's a nice healthy juice bar just down the road.